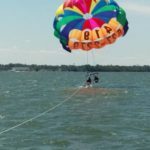 Parasail Lake Erie	Book Now! 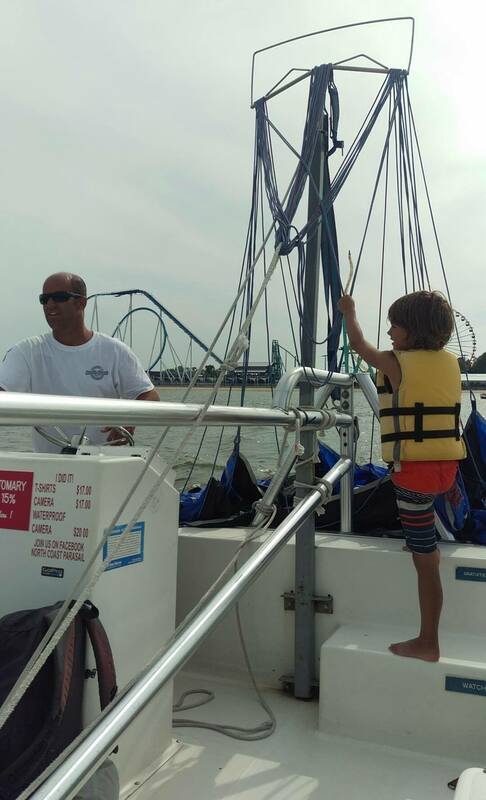 You’ve visited Cedar Point. 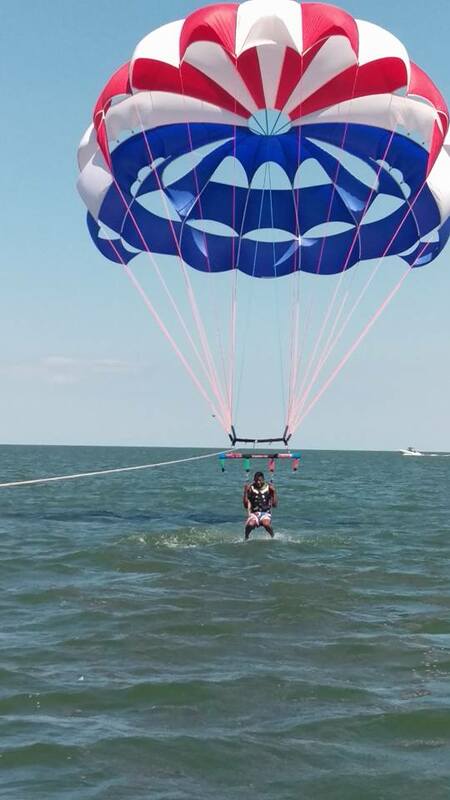 Now what else can you do in Sandusky? 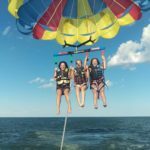 Why not parasail? 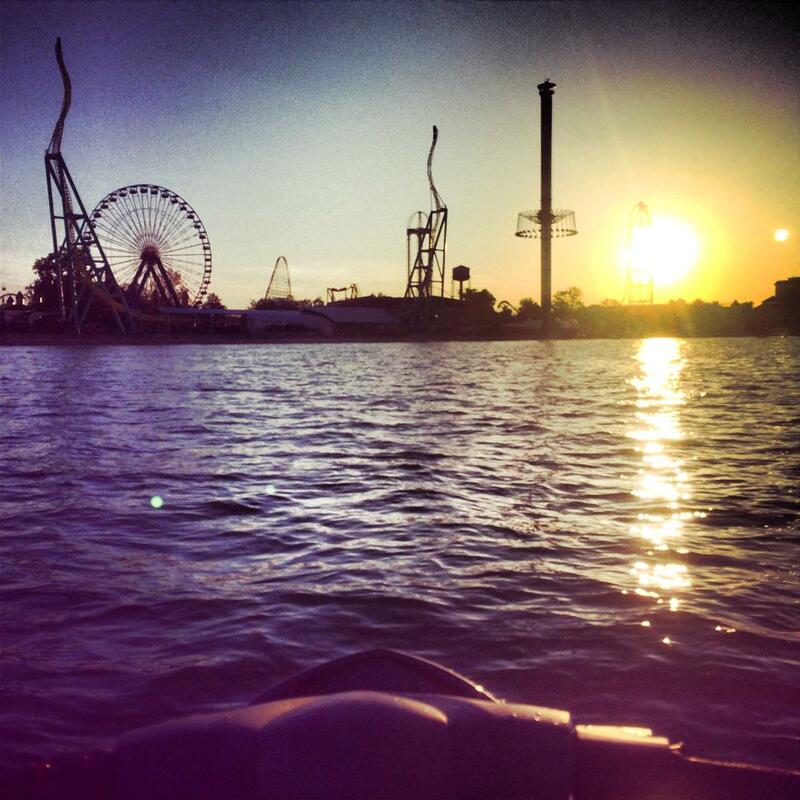 It’s the ultimate cross between adventure and relaxation. 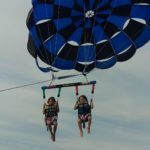 Perfect for the entire family from age 6 and up, parasailing offers a gentle take-off and landing right from the boat deck. 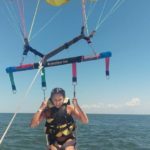 You don’t even have to get wet, and no special training is required. 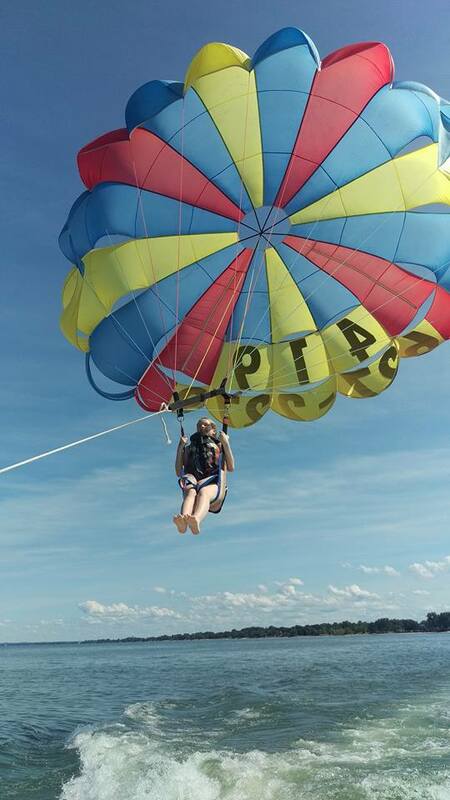 You’ll float high above the Cedar Point beach and enjoy extraordinary views of the Lake Erie coast, the amusement park, and more. Super Deluxe $130.00 Approximately 13 minutes. 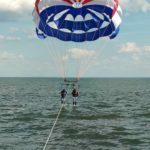 800 feet of tow line. Includes T-shirt, action photo. Deluxe $90.00 Approximately 10 minutes. 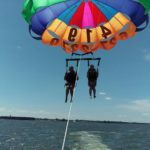 600 feet of tow line. Regular $75.00 Approximately 8 minutes. 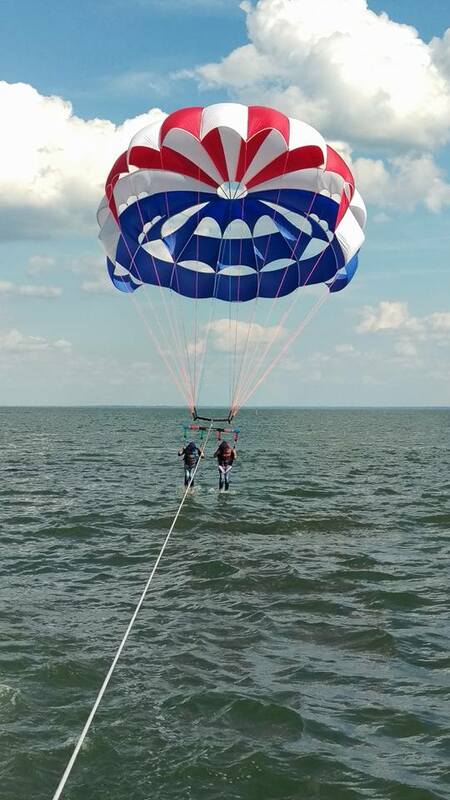 300 ft of tow line. 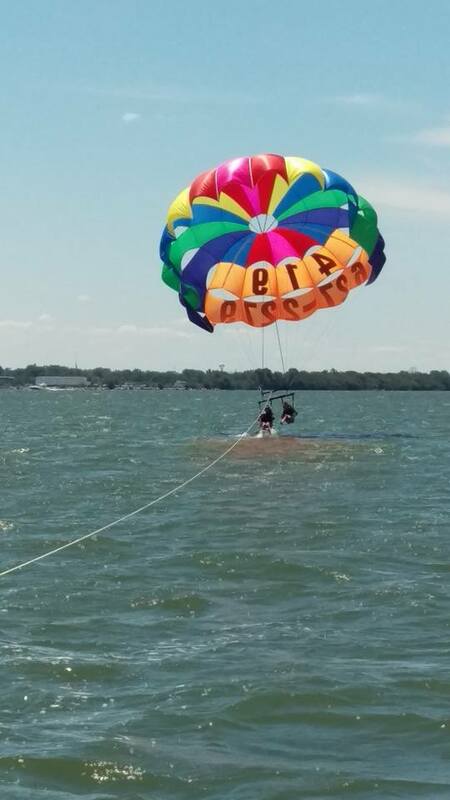 Observer $15.00 Ride in the boat – subject to availability. 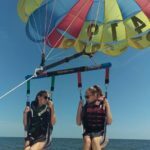 Does parasailing take any special training? No! In fact, it’s very simple. 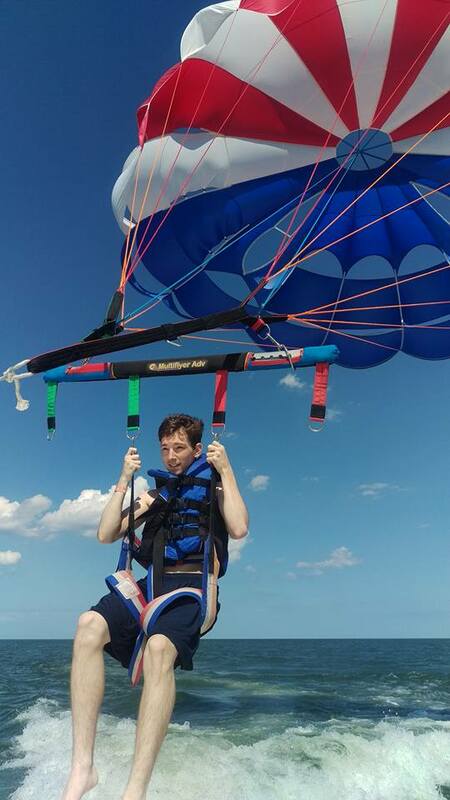 No special skills are needed to fly, and we will teach you everything you need to know. 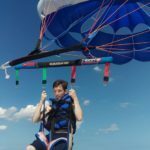 Is parasailing hard? Is a lot of strength required? Not at all. 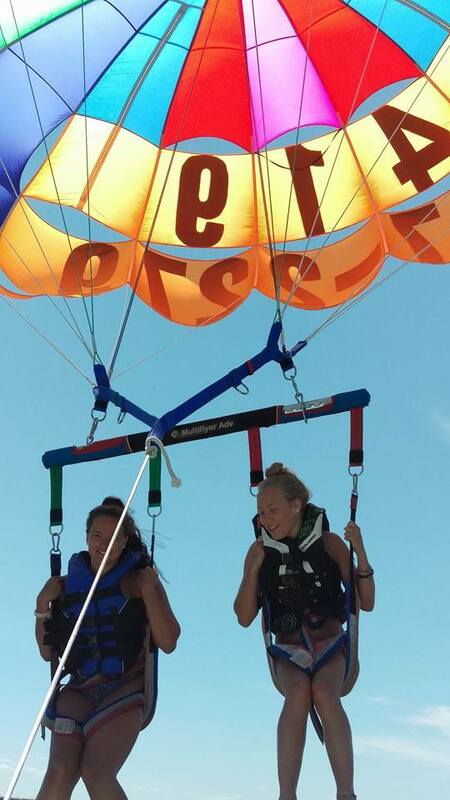 If you can sit, you can parasail. There are no special skills or strength needed. 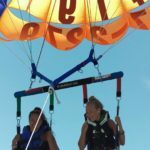 What are the age and weight restrictions for parasailing? 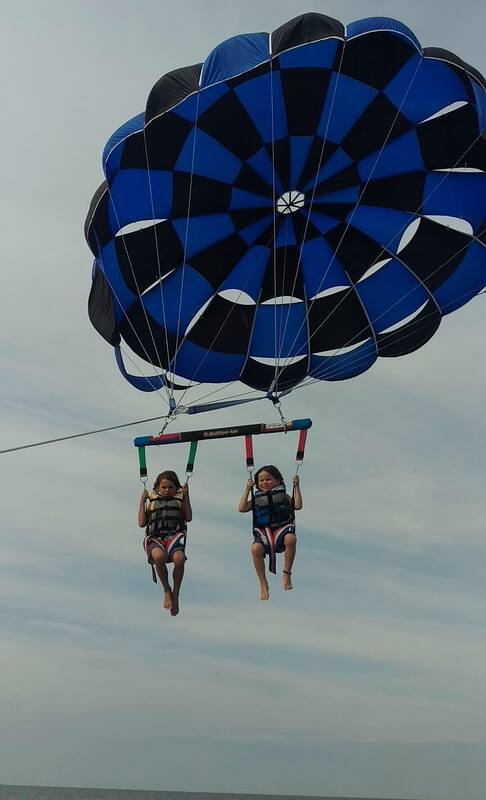 Parasailing is safe and available for anyone age 4 – 93. 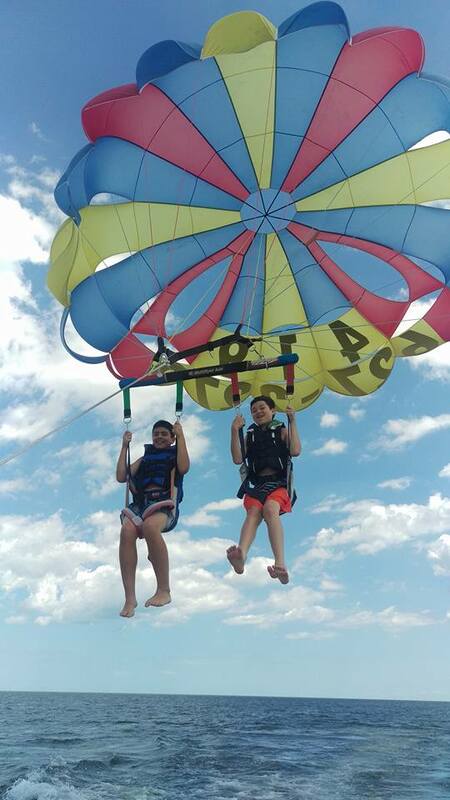 To fly alone, you must weigh at least 100 pounds. 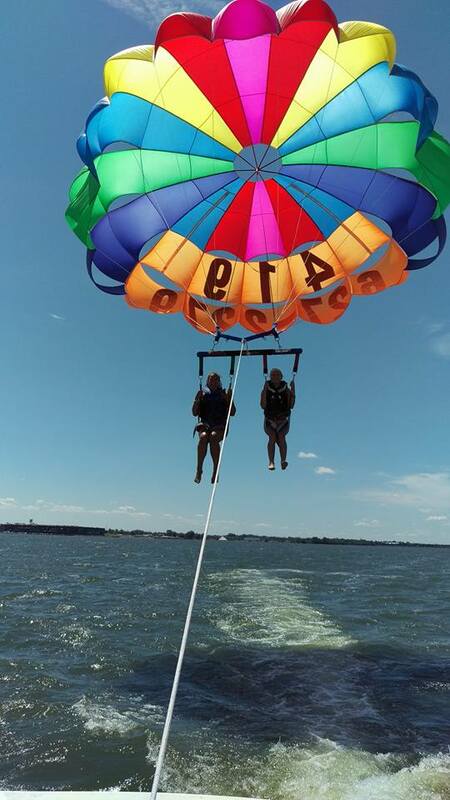 Otherwise, you can go up with a friend. 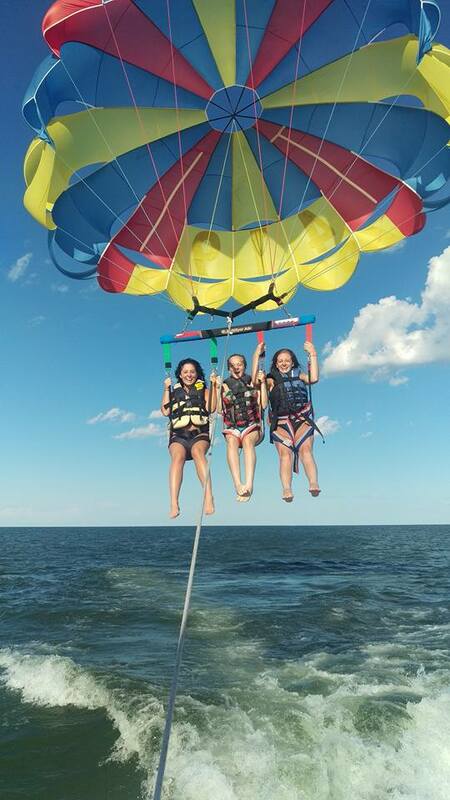 How many people can go parasailing at the same time? 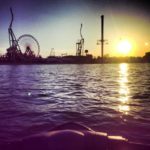 How many people can ride on the boat together? 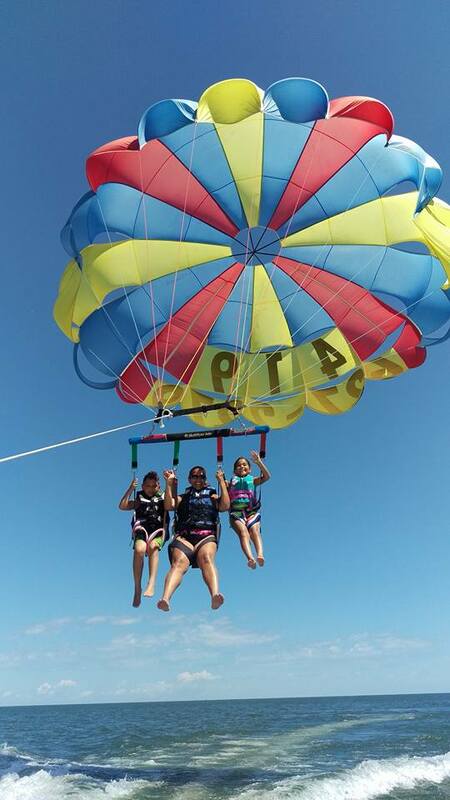 Up to 3 individuals can go fly at the same time, and we always encourage groups because it’s such a fun group activity! 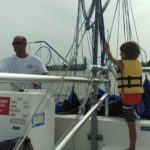 We can accommodate up to six on the boat. 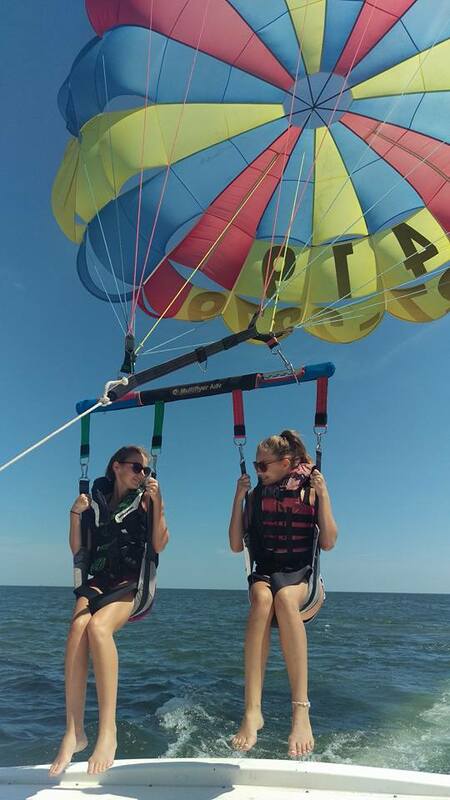 Observers may come along, but those parasailing get first priority. 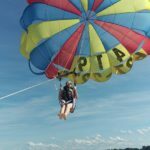 What should I wear to go parasailing? 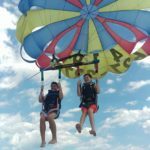 Whatever is comfortable for you! There really are no requirements. 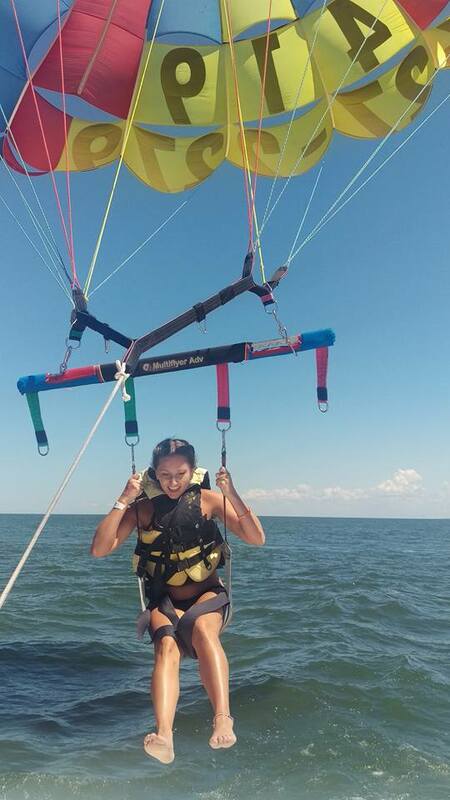 However, if you want us to dip you in the water during your flight, you may want to wear a bathing suit. 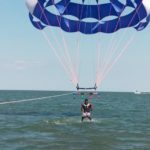 Are reservations required for parasailing? 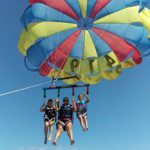 What is your parasailing cancellation policy?